NEW YORK (CNNMoney) -- Delinquent borrowers facing foreclosure are learning that they can stay in their homes for years, as long as they're willing to put up a fight. Among the tactics: Challenging the bank's actions, waiting to file paperwork right up until the deadline, requesting the lender dig up original paperwork or, in some extreme cases, declaring bankruptcy. Nationwide, the average time it takes to process a foreclosure -- from the first missed payment to the final foreclosure auction -- has climbed to 674 days from 253 days just four years ago, according to LPS Applied Analytics. It takes much longer than that in Florida, where the process averages 1,027 days, nearly 3 years. In D.C., foreclosure averages 1,053 days and delinquent borrowers in New York often stay in their homes for an average of 906 days. And while some borrowers are looking for ways to make good with lenders and get their homes back, many aren't paying a dime. Nearly 40% of homeowners in default have not made a payment in at least two years, according to LPS. Many of these homeowners are staying in their homes based on a technicality. There is rarely any dispute over whether or not they have stopped paying their mortgage, said David Dunn, a partner at law firm Hogan Lovells in New York, who represents banks and other financial institutions in foreclosure cases. "In my experience, they never say, 'I'm not delinquent' or 'I want to pay my bill but I'm confused over who to send it to,' or 'Oh my God, you mean I didn't pay my mortgage?' They're not in technical default. They're in default because they're not paying," he said. Ironically enough, the banks have given delinquent borrowers some of the ammunition they need to delay the foreclosure process. During the "robo-signing" scandal in 2010, it was revealed that bank employees signed paperwork attesting to facts they had no personal knowledge of. Now, borrowers are routinely challenging that paperwork. A Staten Island, N.Y. man who owed $300,000 on his mortgage and hadn't made a payment in two years, said his attorney used the robo-signing issue to fight his foreclosure. In his case, the lender's paperwork included many different papers signed by the same employee. The problem was that the signatures didn't match. 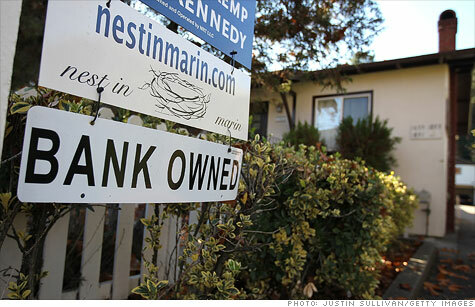 The judge dismissed the lender's case against the borrower, although it can be re-filed. "It looks like I'll be in my home for some time to come," said the homeowner, who asked to remain anonymous. He said he is currently not making any payments on his home. Sometimes just asking the bank to produce the paperwork that shows it is the legal holder of the mortgage note can stall a repossession, said attorney Robert Brown. Since mortgages are often transferred electronically, the official paperwork often gets misplaced. "My lawyer asked my bank to produce an affidavit that entitled them to foreclose," said a client of Brown's, who lives in Harlem and also asked to remain anonymous. "They couldn't do it." The case was dismissed, without prejudice, though the lender can try again -- if it finds the paperwork. In some of the more extreme cases, borrowers will file for bankruptcy in order to block a foreclosure. In these instances, courts order creditors to cease their collection activities immediately. Home auctions can be postponed as the bankruptcy plays out, which can take months. The ensuing delays are further harming the housing market. People who stay in homes undergoing foreclosure for years often don't maintain the properties, causing blight and lowering property values in the surrounding neighborhoods, said Dunn. Then there are the court costs that lenders bear, which will eventually be borne by home buyers as lenders increase their borrowing fees to cover the increased risk, Dunn said. David Berenbaum of the National Community Reinvestment Coalition (NCRC), a community activism group, disputes the contention that owners are gaming the system for free rent and hurting the housing market. "Most people do everything in their power to maintain these homes," he said. "They take in relatives, get second jobs and even rent out rooms." What really needs to be done, he said, is for lenders to work harder to find solutions that allow delinquent borrowers who can afford to make reasonable mortgage payments to keep their homes.